Darlin’ Deals Review ~ First Response Pregnancy Tests! Disclaimer: I was not persuaded to write a positive review. All thoughts and opinions are my own. I participated in a Influencer Activation on behalf of Influence Central for First Response. I received product samples as well as a promotional item to thank me for my participation. If you are impatient like me you’ll be excited to know that First Response Early Result Pregnancy Test can give accurate results as soon as 6 days BEFORE you’re missed period! With a 99% accuracy response when testing after a missed period you can rest assured that your results are correct. The new design of First Response’s tests provides comfort when using them with a wider testing tip and longer handle. Even better, you can test anytime of day with the First Response Early Result test rather than requiring the first urine of the morning as most test recommend. Now you’re able to test at anytime and know for certain whether you are pregnant or not. In addition to all the great features of these tests, they also provide clear easy to read test results with 2 lines meaning that you are pregnant! When I was trying to get pregnant with my children I would have loved pregnancy tests with these accuracy guarantees. I took 3 generic pregnancy tests at home and although all 3 were positive I still didn’t feel confident in my results until I went to the Doctors office. If we do decide to try for baby #3 I will definitely be using a First Response Early Result Pregnancy Test so I can be confident with the results after just 1 test! 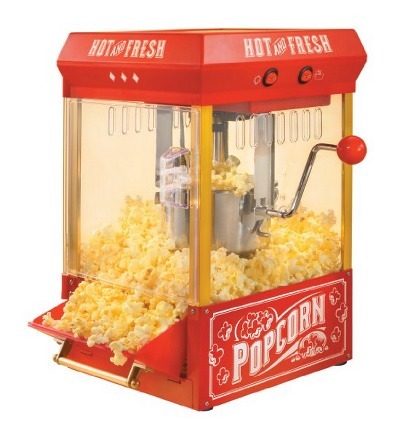 If you’re planning on having any Summer parties, you’ll want to snag this Nostalgia Kettle Popcorn Popper currently on sale for just $40 (normally $115.42!) + FREE Shipping! Father’s Day Gift Idea: Black & Decker Drill Kit on SALE! With Father’s Day just a few weeks away, check out this awesome deal on the highly rated Black & Decker 20-Volt MAX Lithium-Ion Drill Kit with 100 Accessories. TODAY ONLY (6/2) it is 55% OFF!